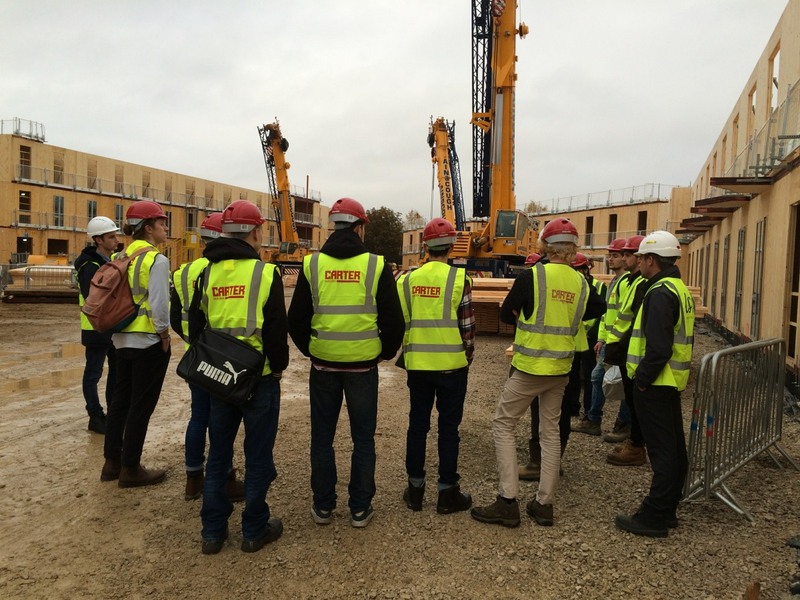 We were delighted to welcome Year 2 students from the BA Architecture course at Norwich University of the Arts into the Practice for a talk on our Blackdale student residences project, before a guided tour of the site with project team members from LSI Architects and contractors RG Carter. The visit, arranged by Architectural Assistant at LSI and recent graduate of the course Matthew Reeve, began with a talk from Associate Mirja Mainwaring who spoke about the new development at the University of East Anglia. 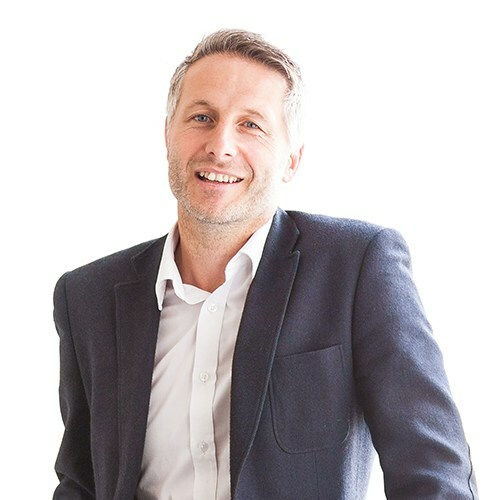 “It was a real pleasure to have the students in and to be able to give them a real insight into the workings of an Architectural Practice on a live project. 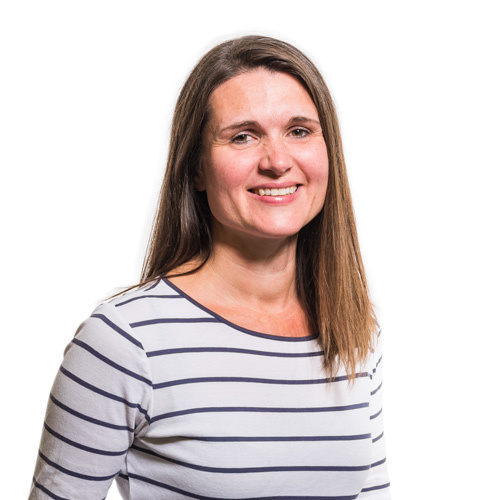 We were able to share our experiences on this project, including material choices, developing the design from initial concepts and massing, reacting to planners and how we ensured the building fitted well into the local context.”, Mirja Mainwaring, Associate. The student residences are constructed using Cross Laminated Timber, and so students were able to learn about the benefits of CLT as a construction method before a site walk around in the afternoon to see the building under construction. 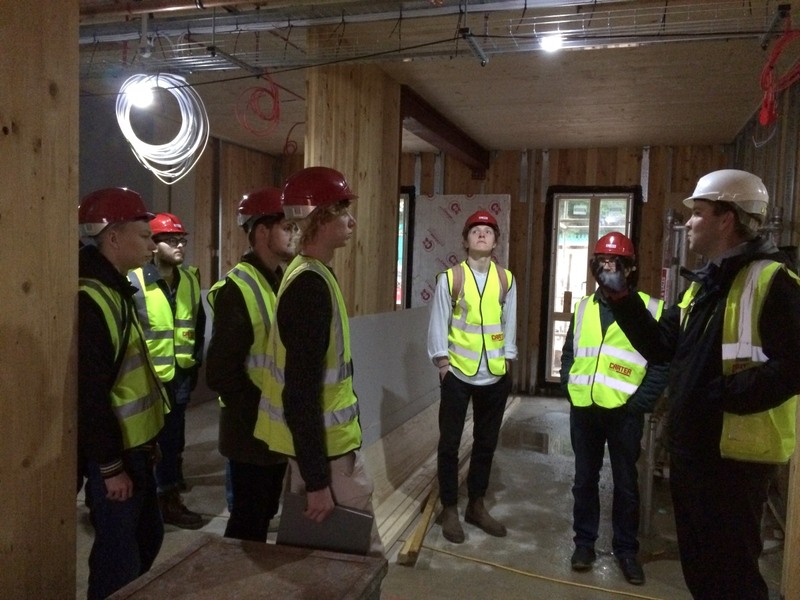 Members of the RG Carter site team, led by Senior Contracts Manager Alex Mackay, then spoke to the students in greater detail about the construction process to give students the opportunity to learn more about the innovative construction method in a live site environment.